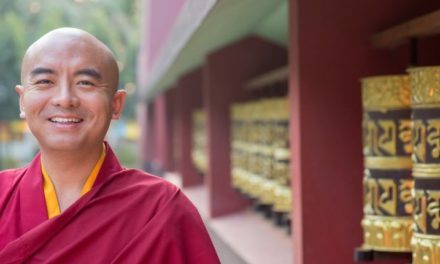 It has come to our notice that over the past few years, some groups and individuals have used Mingyur Rinpoche’s photo to publicize their commercial and non-commercial activities, giving the impression that Rinpoche has endorsed these activities. This is not true. 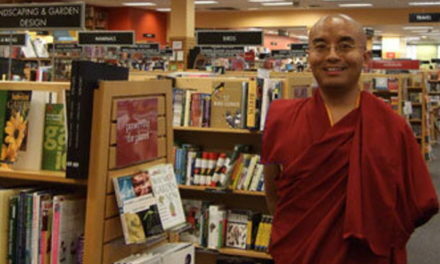 It is a fact that many people regularly approach the Rinpoche for photo-taking, and some will take these photos holding products or have them placed nearby so the products will be prominently displayed in the photo. Rinpoche is kind to oblige their requests for photo-taking, but this must not be interpreted as praise or endorsement for the product or activity being promoted. We rejoice in any and all activities intended to benefit the public. 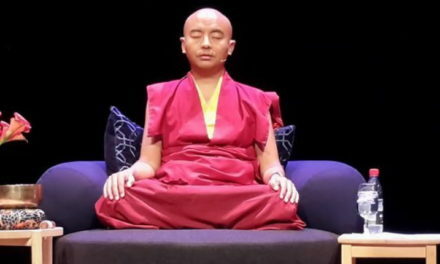 Nevertheless, Mingyur Rinpoche and the Tergar communities he leads have a clear vision and mission they must focus on. 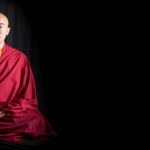 This includes the promotion of various Tergar meditation programmes and the continuing support for Tergar monasteries. 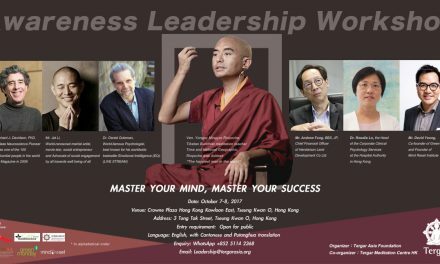 If you would like to use Rinpoche’s photo or name to promote your own charitable activity, please seek permission from Rinpoche and Tergar Asia before proceeding. If permission is not granted, no association may be made. 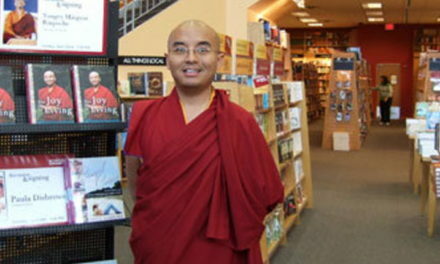 At the same time, we strongly object to the use of Rinpoche’s photo or name for any commercial purposes. 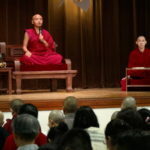 In addition, some groups and individuals have apparently organized tours in which the “Joy of Living” meditation course is included as part of the tour program, along with other spiritual courses. On top of that, these groups and individuals have put out misleading information about the “Joy of Living” course requirement. 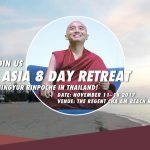 Neither Tergar Asia nor any of the Tergar centers in the different countries and regions have entrusted any travel agency to organize any tour for participating in Mingyur Rinpoche’s course. 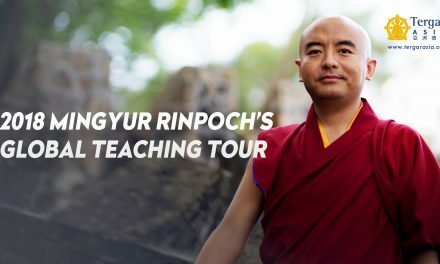 All of Mingyur Rinpoche’s courses are open to the public through official registration channels operated by designated Tergar volunteers. Please refer to the Tergar Asia website and the Facebook pages and other official media of Tergar Asia and the various Tergar centers for accurate information. 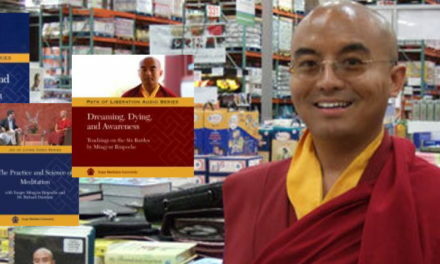 All courses but one under Mingyur Rinpoche’s “Joy of Living” and “Path of Liberation” programmes are subject to strict entry criteria. The only exception is the “Joy of Living Level 1” course, which has no entry requirement. The purpose for the otherwise strict entry requirements is to ensure students learn step by step and derive real benefits from the courses. 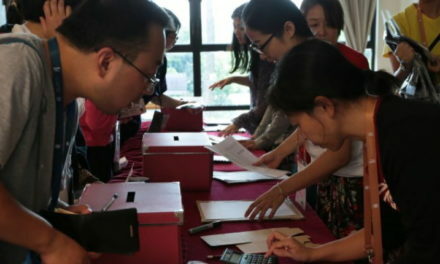 Unless you meet eligibility, it is impossible to complete the entire Joy of Living program, from Levels 1-3, in one go. Before you sign up for any Tergar courses, please check details of the level prerequisites and requirements with Tergar Asia or the other Tergar communities. The “Joy of Living” and “Path of Liberation” programs each offer a specific path of learning. We do not recommend that students who want to pursue either of these paths take the course as part of a package with other courses. This may lead to confusion and will be detrimental to learning.